When you are looking for a way to live independently and comfortably and in the home and community that you love, as you age, we have what you need! To find out more about our services and what we can do for you, just give Bob or John a call. As we grow older, home maintenance in New Jersey may be something that we forget. To give you a refresher, here are home maintenance tips you can follow. The foundation of your home or your floors can experience wear and tear over the years. This is because it provides support to the entire structure of your home and because you and your family members walk on them day-in and day-out. Checking your home’s foundation is essential in avoiding possible causes of falls. Watch out for cracks and other damages. Other things you have to look out for are uneven floors and protruding nails. 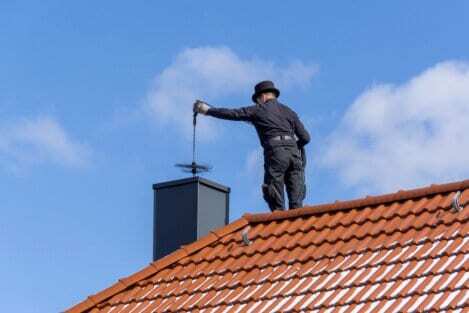 Since your roof helps protect you from the weather, you should check it regularly, most especially after a big storm. Shingles or vents might have been damaged. In this case, make sure to check out the roof on the ground. To avoid a potential fall in your advanced years, consider hiring a professional to go up there, check the entire roof and do the repairs. Branches hanging over the roof that threaten to fall should be removed. Gutters and downspouts must also be cleaned yearly. Grab bar installation in New Jersey will not be possible when the walls where the bars will be attached are weak or damaged. Watch out for holes and cracks on these areas. Additionally, peeling paint should also be addressed. Make sure to check the entire house for exposed electrical wires. Store them appropriately to prevent fires and falls caused by tripping over them. Busted light bulbs should also be replaced immediately, especially if you have low vision, to avoid dim areas which can potentially be dangerous. Call a professional electrician to replace broken outlets, too. Check for leaks in your pipes and faucets. Not only will they cause wet and slippery floors, they can also increase your water bill. Leaks must be repaired immediately. For those with septic tanks in their homes, make it a point to have such tanks pumped at least once every 5 years. Otherwise, sewer problems leading to costly repairs may be what you get. Older adults need a functioning alarm and safety systems, especially when they live alone. Make sure to test smoke detectors monthly and replace their batteries if necessary. Check your fire extinguishers and see to it that they have not expired. Additionally, make sure that the locks on your doors and windows are properly working. Other essential tasks for home modification in Chatham, New Jersey, to ensure safety may also be done. While you can always do the checks yourself, consider having a professional assess your entire property. At AIP Mobility Plus, we aim to keep you safe in your own home. We make it our responsibility to maintain your home on your behalf. Call us for an assessment today! We are committed to ensuring that your privacy is protected. Should we ask you to provide certain information by which you can be identified when using this website, you can be assured that it will only be used in confidence. We do not share your information with 3rd parties. Site Designed By @ SWAT Marketing Solutions Inc.